Time really flies and it’s already a year since I was in Brazil for the World Cup and enjoyed my second visit to the monster of a city that is Sao Paulo. Sao Paulo is a truly phenomenal sized city, it will take years to explore it and it will take me a lifetime to write about it. 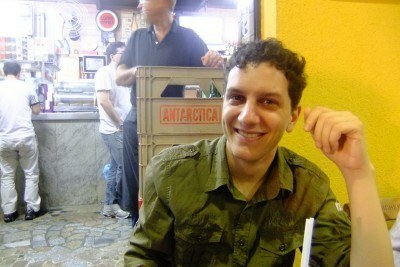 My first visit to the monster was in 2011, where I was able to stay with my Antarctica travel buddy Rodrigo. On that trip it was also my last port of call in South America. This article, won a vote on my DSL Facebook Page this week and hence it is today’s Thirsty Thursday. I hope to write up the losing articles at some point too. On arrival into the Monster, I asked Rodrigo if he had a local pub. 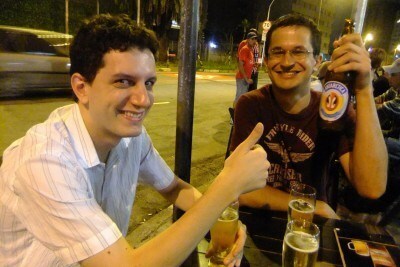 He was living near the University in a cool flat with his friend Mattheus. I didn’t need to ask him – as right opposite his flat, on a prominent and busy corner poked out “Rei Das Batidas”, which translates as “King of Cocktails”. For four nights only, this place became my local pub as Rodrigo and I enjoyed the good life. Where is Rei Das Batidas? 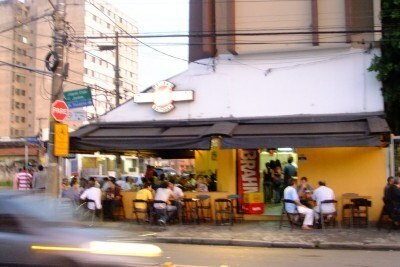 The Rei Das Batidas bar is in the university area of Sao Paulo near Butanta Metro stop. It is also just a few minutes walk from the river, the Rio Pinheiros. We just walked as it was directly opposite Rodrigo’s flat. The full address is: Avenida Valdemar Ferreira, 231 – Butantã, São Paulo – SP, 05501-000, Brazil. What is Rei Das Batidas? It’s a fairly typical street side Brazilian Bar. 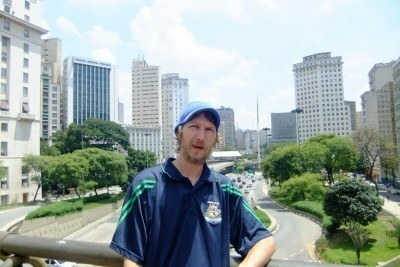 Similar to the ones I visited in Recife, Fortaleza, Belem and Rio de Janeiro. 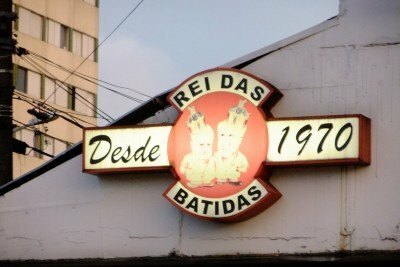 Cold drinks, friendly chat, football on TV and just a relaxed vibe are what Rei Das Batidas is all about. Despite the fact that Sao Paolo houses 20 million people (metropolitan area) and that it has 15,000 buses, the city knows how to relax and party and Rei Das Batidas typifies a Brazilian local pub to me. Not a care in the world, drinking the night away watching football and chatting! 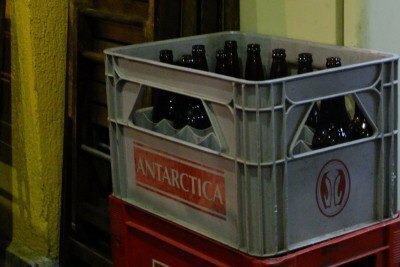 Rodrigo and I usually stick to the beers – and here of course we were drinking Antarctica! It worked out cheaper to buy a bucket and share them as the night goes on. But with the name being “King of Cocktails” when translated into English, I had to indulge into the cocktails and two of the nights they were on a buy one get one free deal so I tried a range of Caiprinhas and Caiprioskas – two of Brazil’s best cocktails. Caipirinha is Brazil’s national cocktail, made with Cachaça (which is a sugar cane hard liquor) sugar and lime plus some fruit. 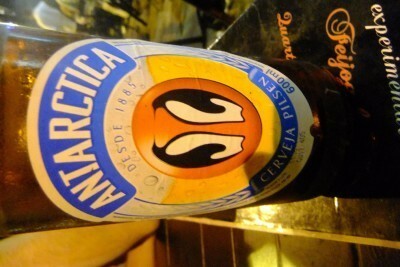 It is something I drank a lot of in Brazil and I recommend it. Cachaça is Brazil’s most common distilled alcoholic drink (also known as Pinga or Caninha). Although both rum and Cachaça are made from sugarcane-derived products, specifically in Cachaça, the alcohol results from the fermentation of fresh sugarcane juice that is afterwards distilled, while rum is usually made from by-products from refineries, such as molasses. We learned some of this in Suriname in fact on the Sugar Cane Trail. 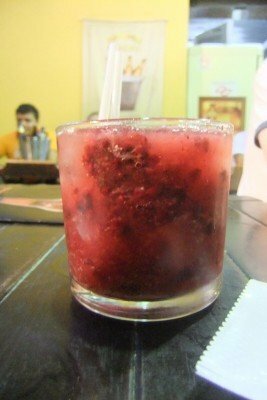 Caiprinha is prepared by smashing the fruit and the sugar together, and adding the liquor. This can be made into a single glass, usually large, that can be shared amongst people, or into a larger jar, from where it is served in individual glasses. By the way – the fruit can be anything you want. 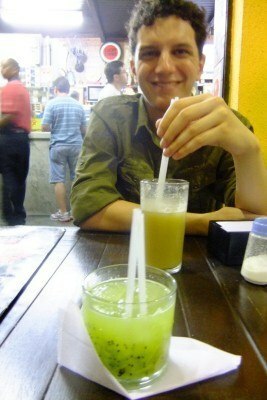 I tried kiwi, pineapple and strawberry (and probably a few more) in my time backpacking through Brazil. Caipiroska is a form of Caipirinha prepared with vodka instead of the usual Cachaça. It is a popular cocktail in Brazil, Paraguay, Uruguay and Argentina. It is also sometimes known as Caipivodka and Caipirodka. It has grown in popularity in recent years as access to international vodkas continues to diversify in South America. However, I’m not a fan of vodka at all and it makes me puke so I stuck to the Caipirinhas. It also confuses me and I get the names mixed up, so I just ask for the one with Cachaca in it! 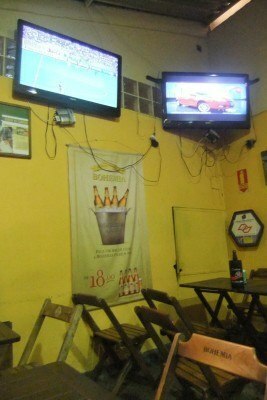 All in all four excellent nights in this local pub in Sao Paulo. My thanks as always to Rodrigo (who also backpacked in Indonesia and Antarctica with me) and the staff at the Rei Das Batidas. 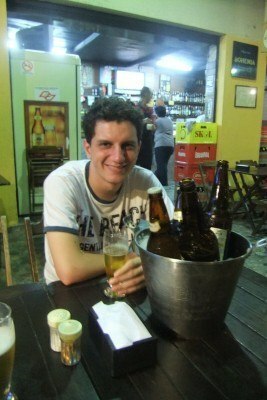 This entry was posted in Bars, Brazil, Daily Features, Sao Paulo, South America, Thirsty Thursdays. Bookmark the permalink. 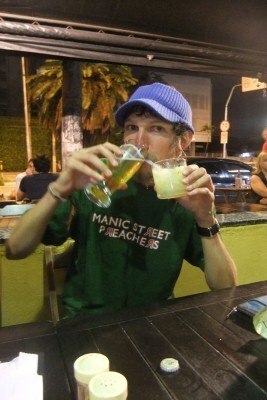 The one thing that sticks out about my time in Brazil are these cocktail bars and side street bars/cafes. Granted, I know other countries have outdoor patios/cafes/bars, but I truly felt that the ones I went to in Brazil were very unique and distinct. 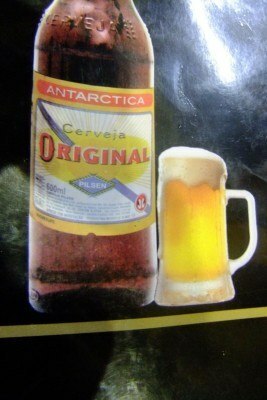 Maybe it was the Antarctica beer. Maybe it was the caprinhas. Maybe it was sitting with like-minded souls while catching World Cup matches on the tube. 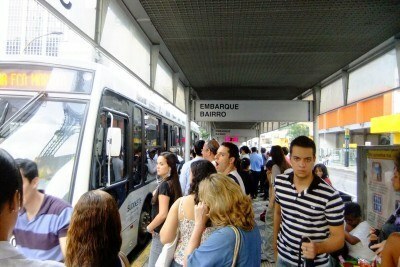 But, it is a social aspect of Brazil that must be experienced at least once in your life! I know this memory happened on your first visit to Brazil back in 2011, but you captured the very essence of Brazilian nightlife perfectly here. Good times! Good times!